In the context of globalization and free trade, business communication has to cut across different cultural identities. These invariably cause cultural barriers that have to be overcome. The relaxed and leisurely pace of the Easterners, the formal and official style of the Britishers, the casual and matter-of-fact nature of the Americans, the thorough nature of the Germans and the extreme courtesy and politeness of expression of the French are all cultural features. It is easy for an American to give his opinion even to his boss whereas decisions and opinions are seldom expressed in the presence of elders and seniors in the East. To overcome any cultural barrier to effective communication one has to possess an understanding of the culture of the receiver(s) / decoder. Even in body language, there are variations. If a Filipino smiles, they say he is angry. The loop formed by the tip of the thumb and index finger is a signal of agreement in North America but an obscenity in the Southern states. Culture is defined by the shared manners, customs, beliefs, rituals, ceremonies, laws, ideas, thought patterns, arts, tools, social institutions, religious beliefs, myths and legends, knowledge, values, a concept of self, morals, ideals and accepted ways of behaving. We live, do things, think and act in varied ways. These practices are particular ways that give us an identity. These are our cultural ways and give us the cultural identity. Cross-cultural and Intercultural communication is very important in the contemporary world. The increase in multinational companies and firms, globalization, improved international relations, and the internet culture are the seeding agents for this demand. In a heterogeneous cultural workforce and the community, it is vital to bring a homogeneous work culture and result. To achieve these communication managers or advocators of every business and nation has to understand various cultural barriers of their team and find a solution to sustain and develop. Language (Semantic): Language is considered as the most crucial barrier in cross-cultural communication. Since verbal communication is important in every context, the understandings of the meaning of words are also important. 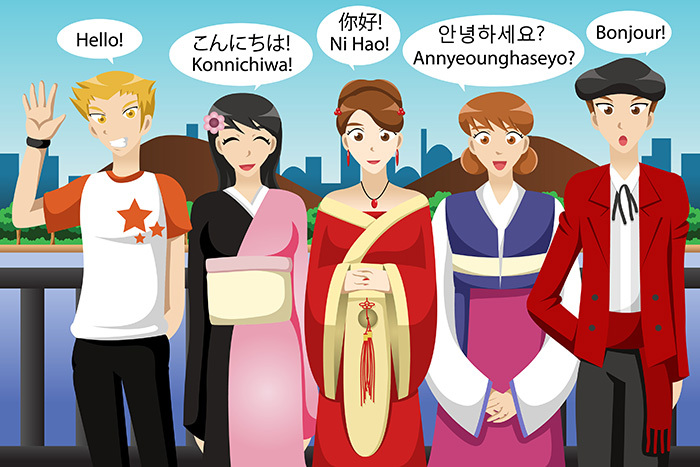 The language barrier occurs not only because of differences in language but also in the forms of a variety of dialects. The examples are of Chinese and Russian language where different dialects are used in several parts of the country. If one communicator is not aware of the exact meaning, it will create misunderstanding and lead to a conflict of ideas. Cultural norms and values: Each culture hold its own values, meaning and norms different from another. This difference is caused because of truth, belief and judgment through which they acquired knowledge about society and culture. For example, in eastern countries like India, Pakistan, Srilanka the meaning of physical proximity is different from that in western countries. In western culture, people share physical proximity or closeness only with the persons whom they know. This is the reason we can find a calm and quiet environment in public transportation in western countries. On contradictory, we can find a huge, crowded environment in Indian suburban and metro rail transports. Stereotypes: Stereotypes are any negative image or preconceived notions on a particular community and identity. These are created through mass media and their content agenda. For example,the status of transgender is considered in the different level of standard in various cultures. Same like the role and respect for women also varies from culture to culture. In social psychological viewpoint, positive stereotypes are also considered as the cultural barrier. It is representation of a particular group of people or culture in a positive way. This may be different from reality. The positive stereotypes create frames of reference in the mind of people in cultural context. For example, it is considered as people in Italy are having a great interest in art. This might be true in some sense since Italy was gone through various art movements. But if a foreigner visits Italy and interact the Italians with that mindset, he may find it difficult to encounter the reality. Values and Beliefs: The differences in values and beliefs in cultures also create a barrier in communication. The difference in the level of acceptability in cultures is an example. The reasons behind these are influenced by religion, political environment or epistemology. Rokeach in his book “The Nature of Human Values “(1979) defines the value as ‘a type of belief that is centrally located within one’s total belief system’. Values tell us about people’s behaviour. Values may be explicit (stated overtly in a value judgement) or implicitly (inferred from nonverbal behaviour), and they may be individually held or seen as a part of a cultural pattern or system. Every country has numerous religions practised by its people. so the differences in their values and beliefs are also an example of cultural barriers. Body language and gestures: Body language and gestures are another elements of the cultural barrier. It is impossible to communicate without body language and gestures. It provides meaning and justification for communication. In conservative societies like Arab and African countries, greeting opposite gender by shaking hands or hugging is considered as ill-manner or even moral crime. But in the western world it is common practice to shake hands while we meet people.